Somewhere around the year 2010, a phenomenon began to spread across NBA arenas; sales of fake beards began to skyrocket, with a growing number of fans at games seen sporting the latest must-have fashion accessory. The man responsible for this new craze? James Harden, who would soon be known as 'The Beard'. Drafted out of Arizona State University by the Oklahoma City Thunder in 2009, Harden spent four years in OKC For three of them, he played alongside present-day superstars Russell Westbrook - who remains with the franchise - and Kevin Durant, who has since moved to the dominant Golden State Warriors. The three players formed a great bond both on and off the court, however Harden had to settle for the role of key bench player, winning the Sixth Man of the Year award in 2012 as his two All-Star team-mates took many of the plaudits for the team's success. That the Thunder, who were the Seattle Supersonics up until a still-controversial switch to Oklahoma City in 2008, managed to draft three future league MVPs in three consecutive years is quite remarkable (Durant 2007, Westbrook 2008, Harden 2009), however the fact that they managed to lose two of these for relatively nothing in return (Kevin Martin, Jeremy Lamb and future draft picks for Harden and Durant as a free agent), speaks to the complexity of keeping superstars happy on the same team. A look through recent NBA history shows how difficult it can be to satisfy two superstars; just look at the frosty relationship between Lakers team-mates Kobe Bryant and Shaquille O'Neal in the early 2000s. Keeping a third happy is nigh on impossible, just ask perennial All-Stars Chris Bosh and Kevin Love, both former team-mates of LeBron James, All-Stars who had to play third-string and at times were a forgotten force. Perhaps it is no surprise, then, that Harden did not want his legacy to be as best sixth man in the league or third-best player on a team. Perhaps, as rumoured, he wanted to be on his own team, where he could become the focal point of the offense and, more importantly, the franchise. Despite having gained cult status in Oklahoma, The Beard rejected a contract extension, feeling the team undervalued him with their offer. He told ESPN at the time: "I felt like I already made a sacrifice coming off the bench and doing whatever it takes to help the team, and they weren't willing to help me". Harden was traded to the Houston Rockets in 2013 and has benefitted hugely from the move. He immediately saw his points, assists, rebounds and minutes per game increase dramatically, and has since become not only one of the most important players in the NBA - he won the MVP award last season and was a close contender for two of the previous three (second in 2015 and 2017) - but has also become one of the most recognisable faces in all of American sports, largely thanks to his beard. His contract extension with Houston was also worth $35m more than the Oklahoma City offer, which he would never have been able to achieve had he remained a bench starter. 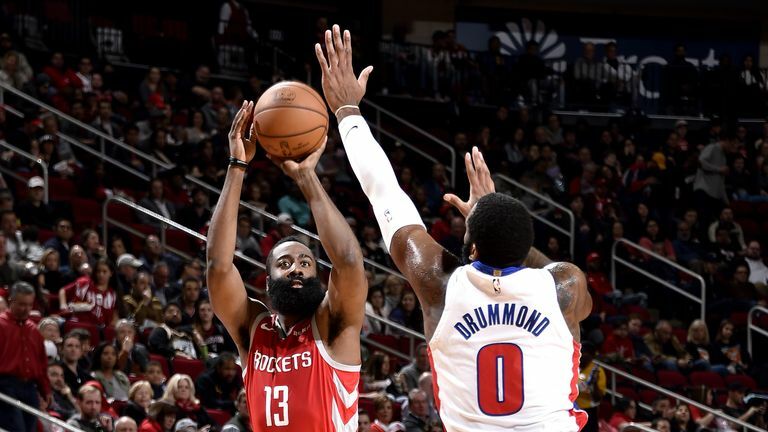 In terms of playing style, Harden is comfortable with the ball anywhere on the court; give him space on the perimeter and he will knock down shots; he made more three-point attempts last season than any other player (722, per basketball-reference.com). Close him out, and he will blow by the defender in an instant and euro-step his way to the bucket, likely drawing a foul on the way. Such is his mastery of this move that he has led the league in free throw attempts for the past four consecutive seasons. Perhaps unsurprisingly, Harden also ranks top for usage percentage in the NBA, meaning that he handles the ball more than anybody else, something that would be completely unfeasible had he remained on a team with multiple All-Stars in their prime. Harden has been central to the rise of the Houston Rockets towards the top of the Western Conference. Last season they came within one game of toppling the Warriors and reaching the NBA finals for the first time since 1995, falling in Game Seven largely thanks to an injury to star point guard Chris Paul and a woeful 0-27 shooting run from deep. Had they won, they would have been responsible for halting one of the great dynasties in NBA history. Houston will be hopeful they can emulate that performance and go one step further, however they lost some key pieces in the off-season, including veteran '3-and-D' wing Trevor Ariza and forward Luc Mbah a Moute, whilst Golden State have arguably strengthened by adding All-Star big man DeMarcus Cousins. Where does this leave Harden? Houston endured a rocky start to the season, losing five of their first six games. A five-game winning streak in November got them bak to .500 before a four-game losing skid halted their progress. The Rockets have started to look more like their 2017/18 selves in December. They are unbeaten in five games, including a 136-118 blowout of the Washington Wizards in which they canned an NBA-record 26 threes. Over the course of their current winning streak, Harden is averaging 38.6 points, 7.8 assists and 6.4 rebounds per game while shooting 41.2 per cent from behind the arc, looking unstoppable in the process. 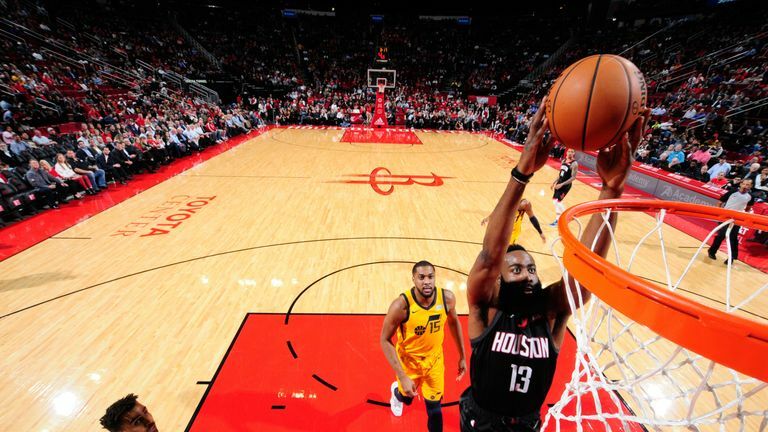 The Rockets will be hoping for The Beard to help them extend their winning run to reel in the top teams in the Western Conference who got off to strong starts. 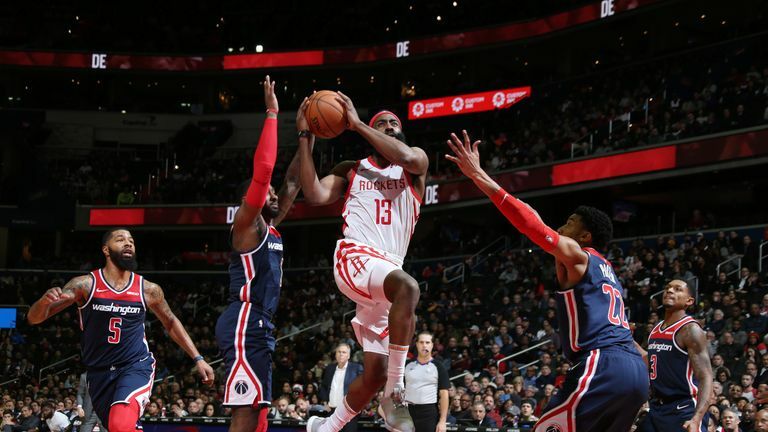 One thing for sure is that Harden is likely to remain a key part of the NBA scene for many years to come, and while he is, expect to see plenty more voluminous beards wherever you cast your eye in arenas across the country. The question on everyone's lips, then: what will it take for Harden to part ways with the beard? "$10m?" he was asked in an interview with ESPN in 2014. "Then we can talk," he replied. 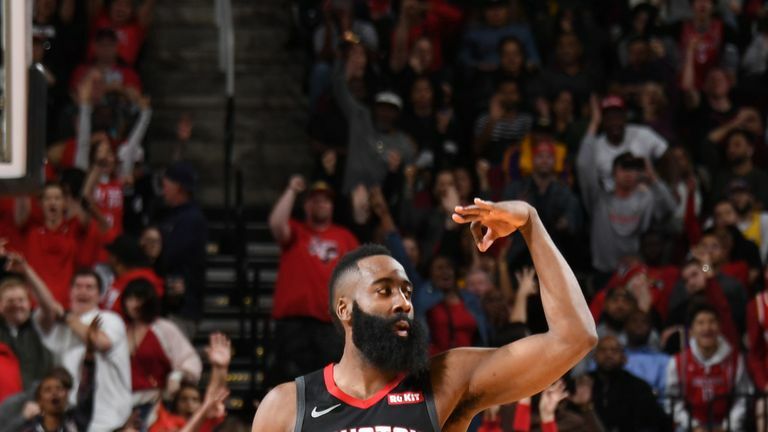 Four years down the line, off the back of a record-breaking MVP season, The Beard is continuing to grow, but can he fire the Rockets to glory this season?